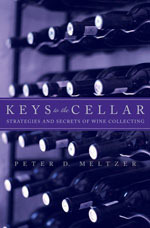 Keys to the Cellar written by the Wine Spectator’s seasoned fine wine auction correspondent is an excellent reference manual for anyone who has found themselves stumbling into the complex world of wine collecting. The most helpful chapters are those that offer suggestions for building your collection such as developing relationships with the right retailers, how to buy and sell at auction, and how to leverage the internet. Each chapter is coupled with practical information including names and addresses of the best resources and practical tips such as how to score the best deals at auctions. Additionally, personal stories enhance the entertainment factor and inspire the reader to imagine his own ideal wine collection. Finally, the appendices are extremely handy offering the Wine Spectator’s Auction Index and the names of the best auction houses. The remainder of this wine book is less impressive and contains much superfluous material that one would expect to find in a less advanced book. Chapters on Storing and Enjoying Wine and Wine Accessories are better covered in other books and merely add to the number of pages here. It would have been better to produce a shorter yet more focused book than to bore the reader with information probably well known already. Overall recommended for anyone wanting to develop their own wine cellar or enter the wine auction scene. But feel free to skip the chapters that seem unnecessary as they probably are.